U.S. Rep. Carlos Curbelo, R-Fla., holds a news conference on immigration reform Wednesday at the Capitol. Curbelo is seeking to circumvent Republican leaders to bring an immigration bill to the House floor. Bill Clark / CQ-Roll Call Inc. The long-shot legislative maneuver, known as a discharge petition, requires that they persuade at least 218 House members to sign a petition to overrule House Speaker Paul Ryan and other GOP leaders and compel votes on at least four immigration bills. The effort is a rare act of defiance of party leaders by legislators who are eager to avoid an ugly showdown over immigration ahead of the election in November. Supporters of the petition say they are tired of waiting for leaders to act on immigration and are willing to resort to unusual steps to get their way. Florida Republican Carlos Curbelo told reporters Wednesday that he has been clear with leaders that he wants to empower lawmakers. "We believe this institution needs to act. 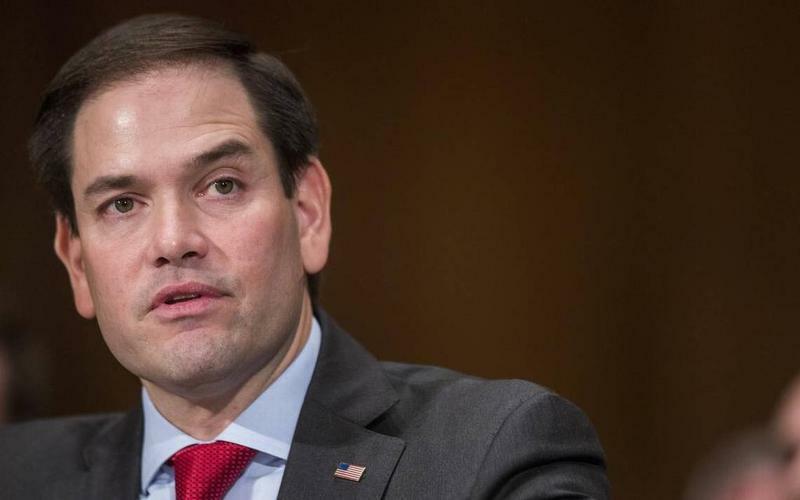 Immigration has paralyzed the institution for too long," Curbelo said. "We don't view this as [in] any way undermining House leaders." Members on both sides say they are frustrated by negotiations with the White House over border security and protection for immigrants who are in the country after being brought as children to the country illegally. The Senate attempted to take up immigration in February but failed to advance any bills after a week of debate. President Trump announced last year that he planned to revoke protections for roughly 700,000 of those immigrants who filed under the Deferred Action for Childhood Arrivals program. Courts have so far blocked him from following through but lawmakers say they want to step in and give immigrants certainty as soon as possible. Curbelo said the plan is to allow votes on up to four bills. The first would be a moderate proposal that would include DACA protections and some bipartisan border security measures. The second bill would be a conservative measure drafted by Virginia Republican Bob Goodlatte to crack down on illegal immigration and place new limits on legal immigration. The other two options are still poorly defined, but at least one would be a bill crafted by GOP leaders and sponsored by Ryan. It is rare for leaders to back a process that evades their control of the House floor. House Majority Leader Kevin McCarthy, R-Calif., told reporters Wednesday that he "doesn't like discharge petitions" but declined to answer when asked if he was formally working to persuade members not to sign the immigration petition. Ryan hasn't formally weighed in, but he has for months called on House members to work on crafting immigration legislation through normal committee channels — a position reiterated Wednesday by Ryan spokeswoman AshLee Strong. The measure is gaining steam despite leadership objections. The discharge petition was filed Wednesday morning with seven signatures. The number more than doubled to 17 by midafternoon. Sponsors said they expect all 193 Democrats will eventually join them — meaning the effort could be fewer than 10 votes short of success. 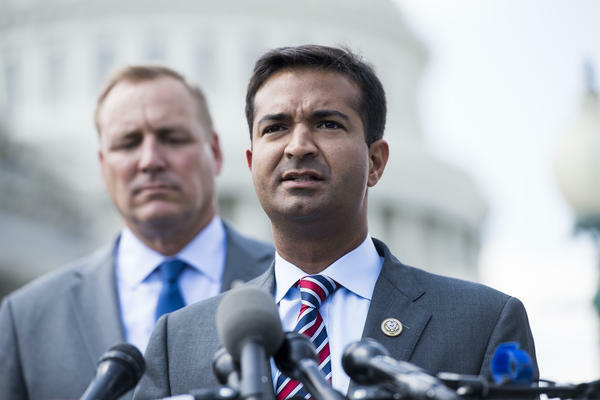 "Every member should be for this discharge petition and this process," Curbelo said. It isn't rare for members to file discharge petitions; what's rare is for the petitions to succeed. Members have successfully forced votes on major legislation only twice in the past 20 years: the McCain-Feingold campaign reform bill in 2001 and a 2015 measure to reinstate the Export-Import Bank. The unconventional plan has been in the works for several months, but it rapidly gained support in April after Ryan announced that he plans to retire at the end of 2018. Ryan had been pushing members to focus on crafting an immigration bill that Trump could support. Forcing votes on immigration could be politically risky for Republicans who have struggled to find a unified message on the subject. A vote this summer could re-expose fissures within the party over protecting DACA recipients and deep disagreements with Trump over his demands for a wall along the border with Mexico. Trump has said he won't sign new immigration protections without funding for the wall and greater border security. So far Congress has failed to come up with any legislation that would satisfy those demands while still getting the necessary votes from moderates in the House and Democrats in the Senate, where bipartisan support is needed to avoid a filibuster. But supporting immigration is also good politics for some Republicans. Utah Republican Mia Love, one of dozens of House Republicans facing a serious challenge in November, said she backs the petition precisely because it would give every member of Congress the opportunity to go on record on immigration. "We want the White House to come up with their plans and the Senate to come up with their plans," Love said. "Our job is to make sure all of the bills that all of us have worked really hard on have a voice on the floor." A group of House Republicans are trying to do something unusual. They want to force a vote on immigration legislation even over the objections of their own party leaders. MARIO DIAZ-BALART: This bold move will force a vote - force a vote on the floor. And this is an issue that will not fix itself. CORNISH: The plan from Florida Congressman Mario Diaz-Balart and others is to round up enough signatures to go around House Speaker Paul Ryan and his leadership team and schedule a vote on at least four immigration bills. And they want to do it before the general election in November. NPR congressional reporter Kelsey Snell is here to explain more. KELSEY SNELL, BYLINE: Hi, Audie. CORNISH: So how does a small group of Republicans essentially force a vote on something as controversial as immigration policy? SNELL: Yeah, they are trying to use a procedural maneuver that's usually used by the party that isn't in power. And it isn't usually successful. It's something called a discharge petition, which really means that they need 218 people to sign a sheet of paper that says that they want to vote on a bill that leaders have refused to consider. Petitions like this aren't rare. But what is rare is when they succeed. It has happened only twice in the past 20 years, and it is a big surprise to see it come from Republicans challenging their own leadership. CORNISH: On top of that, immigration is basically political kryptonite. So how close is this group to actually reaching their goal? SNELL: Well, first, this seemed like a long shot. This is not something that's brand-new. They've been talking about it for several weeks. And the original group of seven backers that released this petition this morning doubled their ranks in just a few hours. Now, they say they're expecting all 193 Democrats to back the plan, meaning they need about 10 more Republicans to get on board. And honestly, that small number is pretty stunning and is much closer than these usually get. CORNISH: I'm going to assume that Republican House leadership is not in support of this plan. CORNISH: What can they actually do about it? SNELL: Yeah. In short, no, they do not support this. House Majority Leader Kevin McCarthy told several of us earlier today in the halls that he doesn't like discharge petitions in general and he'd rather do things the regular order way. House Speaker Paul Ryan has said he wants to keep working on bills through those normal channels. And staff tells me that they want to vote on bills that actually have a chance of getting the president's signature. But the bill's sponsors say they're worried about getting a bill that can also pass the Senate, where Republicans need 60 votes to pass just about anything. And that means they need Democrats on board. Now, they picked the four-vote plan so that Ryan could work with the White House on their own solution. Here is what another one of the sponsors Jeff Denham said. JEFF DENHAM: I assume the speaker's having those conversations with the White House on what they would accept. But ultimately, we have to pass something that's going to get 60 votes in the Senate as well. And so we're very cognizant of that as well. CORNISH: Jeff Denham, a California Republican, where immigration is a very big deal in his district. CORNISH: Right, which brings us to the point of November and this being essentially a risky strategy. Could it essentially backfire on this group to try and force the House to take up something as controversial as immigration legislation so close to an election? SNELL: Yeah, that's absolutely a risk. And it's a risk that we expect the speaker and his allies to make to many Republicans to try to get them not to sign this. But there are 23 Republicans in districts that were won by Hillary Clinton in 2016. That's 23 Republicans who may see passing a bill to protect DACA recipients, those people who are in the country illegally after being brought here as children, as a good thing. They wanted to get this done. It's something Republicans had promised. And there are other vulnerable Republicans like Mia Love in Utah who are signing on. Here's what she said today at a press conference. MIA LOVE: I'm not abdicating my responsibilities to the White House. We want the White House to come up with their plans. We want the Senate to come up with their plans. But our job is to come up with our plans and to make sure that all of the bills that all of us have worked really hard on actually have a voice on the floor. SNELL: Now, that's a pretty strong statement. And it speaks to this moment where Republicans are feeling like they haven't had the opportunity to vote on these things. Now, a lot of immigration bills already failed in the Senate. But the House hasn't had those opportunities. And they want to bring up things like a more moderate bill like the - you know, that would protect DACA recipients than something a lot stronger like the Goodlatte bill. So there are a lot of people who think passing something like this is just good policy. CORNISH: That's NPR's Kelsey Snell. Kelsey, thank you. 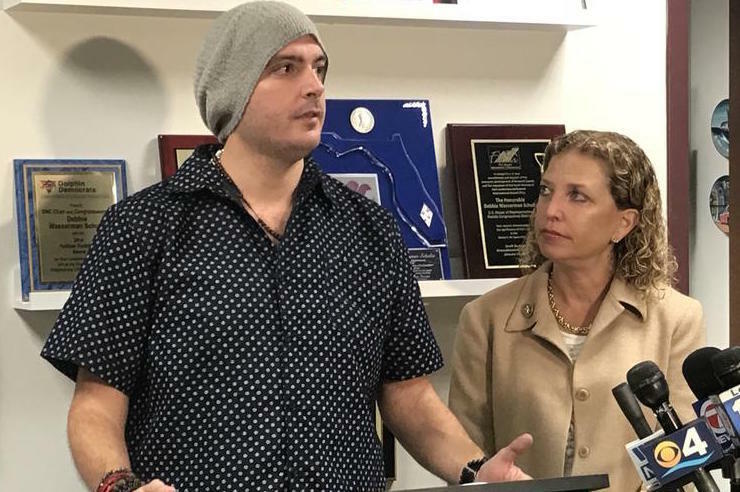 South Florida Congresswoman Debbie Wasserman Schultz is one of a few lawmakers who are bringing Dreamers as their special guests to Tuesday’s State of the Union Address. In the U.S. there are 1.8 million Dreamers, otherwise known as recipients of the Deferred Action for Childhood Arrivals (DACA) immigration status. It was last year that President Donald Trump made known he would not be renewing the program, which would affect an estimated 800,000 of these Dreamers. A national teachers union is targeting two South Florida Republicans in an ad campaign pressuring members of Congress to force a vote on a replacement for Deferred Action for Childhood Arrivals. President Donald Trump has announced he’s ending the Obama-era immigration program that allows immigrants who were brought to the U.S. illegally as children to obtain work permits and reside here without fear of deportation. Trump has challenged Congress to come up with a different solution for about 800,000 so-called Dreamers.